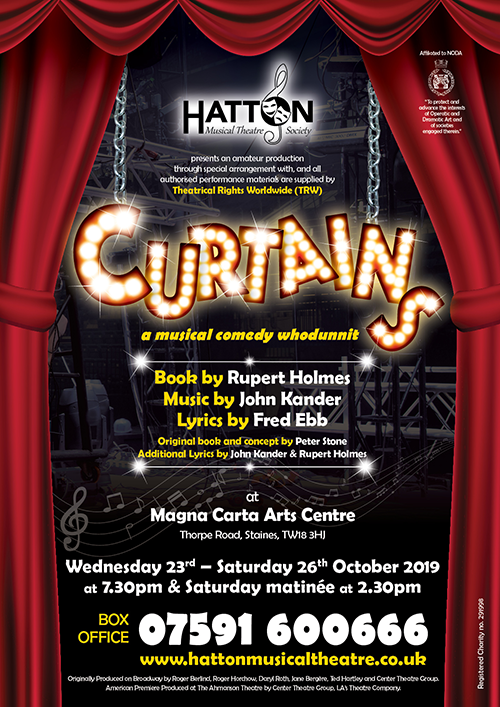 Curtains is a hilarious comedy musical murder mystery, a parody of 1950s “whodunnit” theatre mysteries, where a lone detective, Lieutenant Frank Cioffi, investigates a series of murders that take place behind the scenes of a fictional 1950s cowboy musical, Robbin’ Hood. The cast of Robbin’ Hood is forced to stay inside the theatre while Boston police detective, Frank Cioffi, unravels the mystery, getting involved with the show and falling in love with ingenue Niki Harris in the process. Written by Kander & Ebb who were responsible for both Chicago and Cabaret we can promise you a night of intrigue and laughter, a plot that twists and turns and wonderful song and dance. Please contact us now if you would like to be involved with any of our shows. 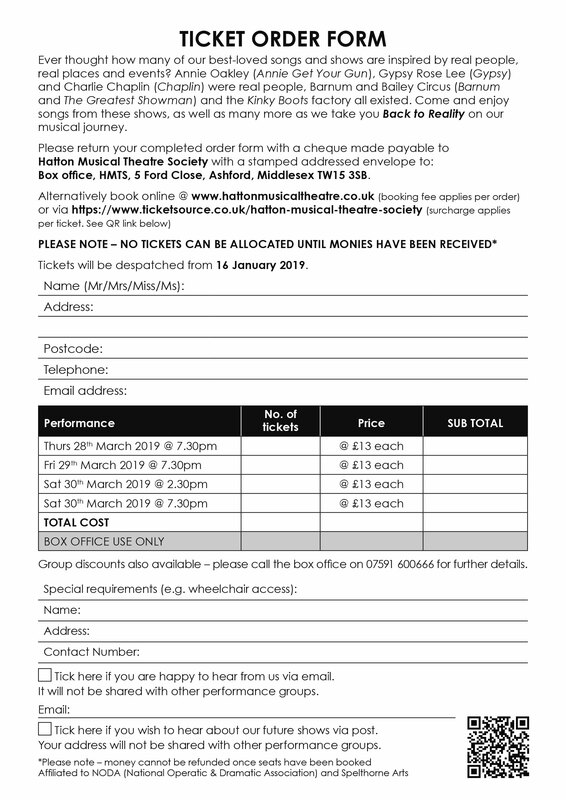 If you would like to be added to our mailing list to receive advance notification of our productions please contact us.